The goose-feather and down filling in this mattress topper gives it a luxurious softness while still offering a firm support for a relaxing slumber. 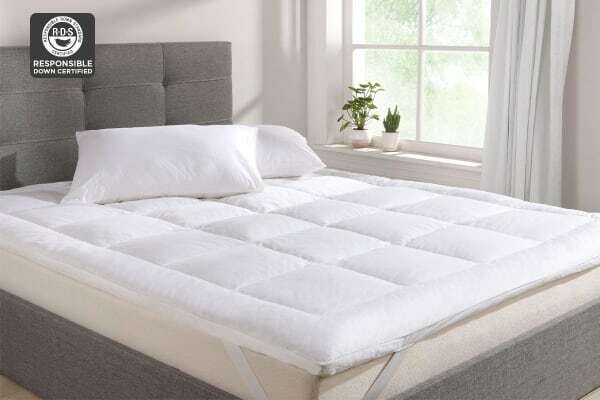 Place the Ovela Goose Down and Feather Mattress Topper over your regular mattress and feel the change! 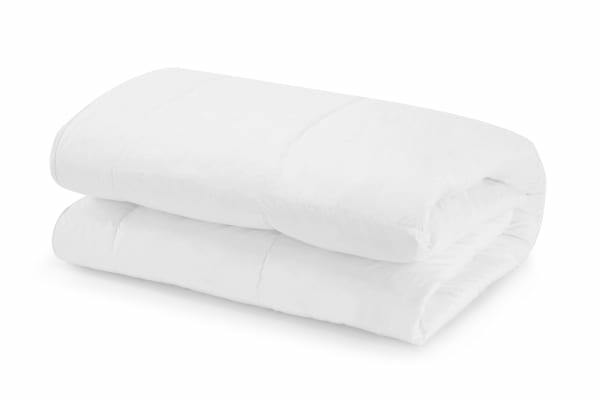 The extra-cushioning and softness make you feel like you’re sleeping on a soft and fluffy cloud. This 750GSM topper ensures that you sleep like a baby by cushioning your body contours and providing perfect support. And in winters, the down feather filling provides extra warmth to let you stay snuggled up, cosy and comfortable through the night. These mattress toppers are made using only the best materials, viz., 5% goose down, 95% goose feather in a tight and compact baffle box construction that does not allow the feathers to shift and cause gaps. This is then covered with a silky soft 100% cotton cover for the perfect finish to this fabulous topper. Goose feathers are generally preferred over duck feathers as goose cluster are larger and feathers come from older, larger birds. This results in goose feathers providing a higher capacity to fill the topper and make it more resilient and durable too! The Ovela Goose Down and Feather Mattress Topper acts as a protective top layer that prevents accidental spills, dirt, dust and leaks from reaching your expensive mattress and keeps it looking new for a long time! Contains down and feather filling that has been officially certified against the Responsible Down Standard (RDS). This voluntary global standard independently audits supply chains for transparency and animal welfare compliance, and prohibits unethical practices in the sourcing of down and feathers. You can be confident when you purchase this product that the down is not only of high quality, but also ethically sourced.